‘Marking the City’ brought together international and local students, academics, practicing architects and artists in a nine-day program investigating contemporary methodologies for context-specific architectural design and materiality. 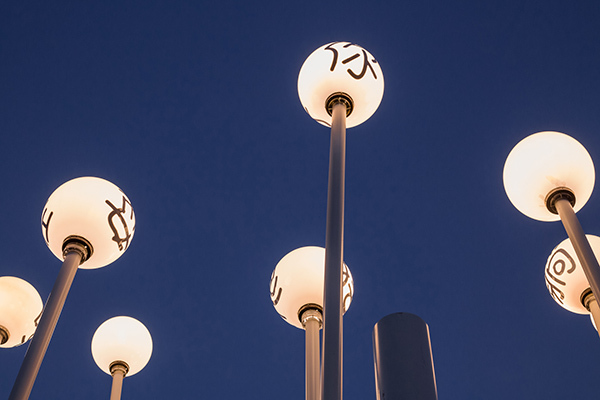 The programme was hosted by ‘iBox’ which is a temporary cultural hub located in the center of Chengdu, bringing together local, national and international boutique brands it offers a location for creative discourse to flourish. 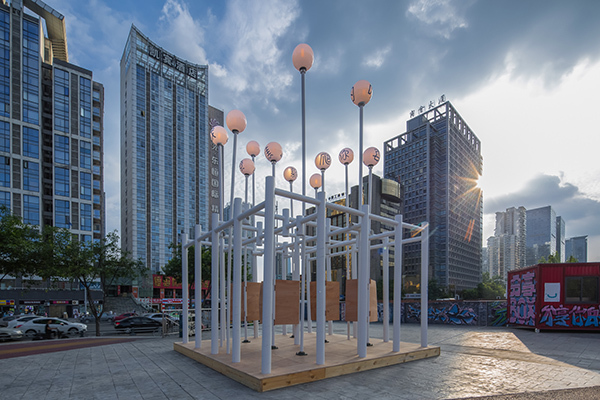 Constructing a pavilion here against the backdrop of the city of Chengdu offers the potential to engage locals, travellers, designers and the fashionable and invite them to interact. Recycling is a major tenet of industry; restricted by governments, lauded by environmentalists and adopted by the bourgeois as the focus for a sustainable future. In Architecture the world of recycling can provide another level of engagement, one of history and memory. 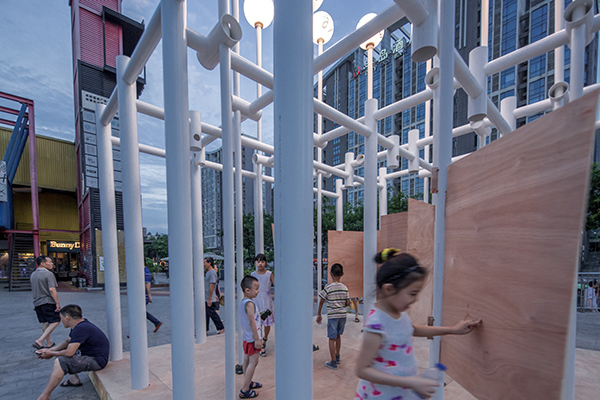 The 2016 ‘Marking the City’ pavilion attempted to construct a space of memory; a pavilion developed through an idea of interaction with the city, resonating with memory of an industrial process, a manufacturing intent or a patina of former use. 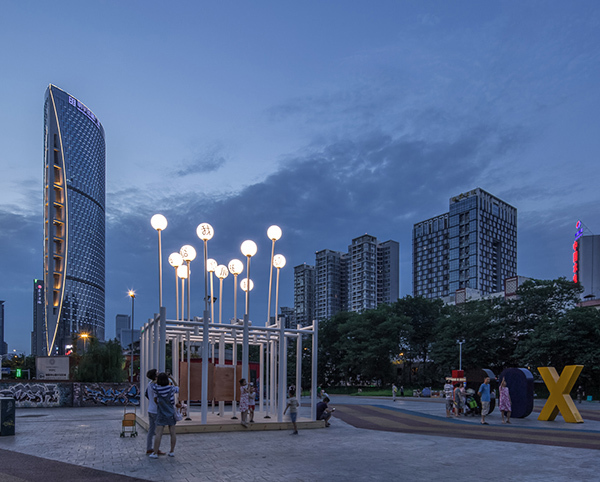 The pavilion engaged with the city, for use by the people of Chengdu, to view, to use, to climb, to touch, to dismantle and to simply observe.